Only a week until we start the new Mass translation from the 3rd edition of the Roman Missal! Are you ready? If not, get on the horn to Scepter Publishers and order your Daily Roman Missal. I have mine and look forward to using it next week. 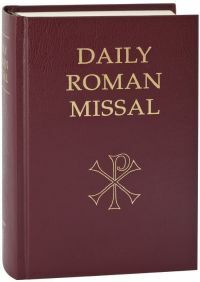 The new Daily Roman Missal (according to the Roman Missal, Third Edition with the new English translation that goes into effect Advent 2011) includes prayers and readings to all Sunday and daily Masses in one volume. It also includes Masses for the Dead, and many Ritual, Votive and other Masses. It is a complete source for following the Mass, and reflecting on its profound beauty and grace. Available in hardbound—the Daily Roman Missal is an ideal size to carry, at just 4.75″ x 6.75,” it easily fits in a briefcase, backpack, or carry-on when traveling. I’ve mentioned Scepter Publishers before and want to direct your attention back to them since they’ve got a growing number of books now available as e-books. Here’s some good spiritual reading for Lent. In this book, Fr. de la Palma provides an aid for meditating on the Passion. He recreates the events of Jesus’ life beginning with Holy Thursday and concluding with the burial of Our Lord and a powerful evocation of the coming resurrection. With vivid detail and a constant recognition of the role the Blessed Mother played in those days, Fr. 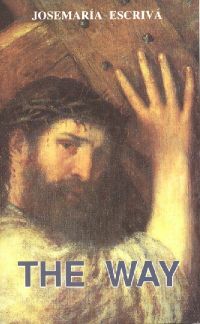 de la Palma helps the reader enter into the Last Supper, the institution of the priesthood and the Eucharist, the arrest of Our Lord, the denial of St. Peter, the trials before Caiaphas and Pilate, the scourging and mocking, and finally, the Crucifixion. His meditations hew closely to the Gospel accounts, adding to them insights from other scriptures and frequently culminating in fervent prayers to Our Lord and Our Lady. Fr. de la Palma emphasizes that through it all, Jesus was offering Himself to the Father of His own fee will for the salvation of the world. This book is a striking reminder of the immensity of that offering of love.